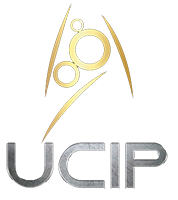 UCIP is one of the most exciting simulation/role-play groups on the Internet, providing people with a huge variety of fleets and alien races to be a part of today. UCIP is also one of the longest established group on the Internet, serving simulation fans for nearly two decades! UCIP is a Roleplaying Organization founded by Fleet Admiral Mark Miller on December 6, 1994. Our main goal here at UCIP has always been a simple one – to provide roleplay fans and enthusiasts alike with realistic simulations for them to participate in, but more importantly, to make sure they are fun and entertaining. This goal of providing entertaining simulations is achieved primarily by IRC and e-mail. UCIP provides online simulations which are conducted via Internet Relay Chat (IRC). This method allows for live interaction between other officers. Another similar method is through AIM for people who don’t have IRC. The last method is through Email or Forums. This involves writing story-like “Logs” which are sent too all the crew of the ship/starbase/etc.. Whilst it may lack the live interaction of IRC, it allows for greater character development and creative writing.